Here you can find The Book People discount code, special offers and recent sales. Posted by our real community of bargain hunters, save money and enjoy more books for less. Julia Donaldson Audio Collection - 10 CDs (Audio) FREE DELIVERY! What is The Book People? The Book People was founded in 1988 by book aficionados Ted Smart and Seni Glaster on the principle of making books available and affordable to everyone. The company is a bookseller based in Godalming, Surrey, UK. The extensive ranges of books found at Book People’s award-winning website are hand-picked favourites. 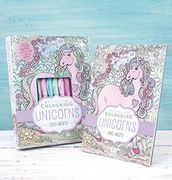 They also sell their products which include gifts, toys and stationary through mail-order catalogue, and in workplaces and schools via a nationwide network of Book People Local distributors. The company started doing business visiting offices around the area of Guildford, Surrey and by 1990; there were already 140 Book People Local distributors across the UK visiting workplaces such as banks, hospitals, schools and even bakeries. And because of high demand, Book People launched their mail-order catalogue to provide their loyal customers a way to conveniently shop their range of hand-picked books. In 1998, their easy-to-use online shop was launched furthering the growth in the number of their customers. Book People just recently expanded their product offerings beyond books by offering toys, gifts and stationary. As part of their growth and expansion, the company has even acquired a number of brands such as use Children’s Books and Index Books. What does The Book People sell? Whether you’re looking for first reads, fun fiction titles and collections, activity books or reference guides to help with homework, book People have the right book for your child. They offer a wide range of contemporary and classic novels, crime thrillers, romantic reads and great value collections. Whether you want real-life stories, are learning a new craft or looking for new recipe books, you’ll find it in Book People’s range of non-fiction books, from books to get you outdoors to the latest cookbooks and the best in film and TV. Their book collections offer huge savings on books for all ages and interests. Including the best in fiction and non-fiction, as well as children’s collections featuring classic authors, young adult fiction and more. If you're on the lookout for bestselling books at prices you won't believe, explore Book People's range of bestsellers today. You'll find everything from the latest chart books to our customers' favourites with savings that you won't find on the high street. 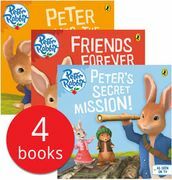 Book People extensive range of gifts, toys and stationery are perfect for book-lovers of all ages. From Mr Men and Little Miss to the Gruffalo, Minions, Miffy, the Hungry Caterpillar and much, much more, a hand-picked gift from Book People is the perfect accompaniment to one of their wonderful books. 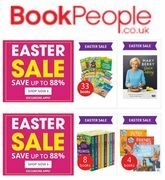 Whether you're looking for brand new children's books, new fiction books, new cookbooks or the latest film and TV releases, you'll find chart-toppers and new releases with Book People which offer you savings up to 75% off RRP every day. The Famous Five, Malory Towers, St. Clare's, the Adventure series, you'll find them all in Book People's hand-picked range of Enid Blyton books. How do I contact The Book People? For questions and enquiries, read their full FAQ section. Alternatively, you can also use their Online Enquiry Form. To talk to a member of their Customer Services team, click the Live Chat button on their website. What are the delivery options for The Book People? Read the Delivery Restrictions page for more information. See the Delivery Restrictions page for more information. Read their full International Deliveries page for shipping costs and delivery times on your country. How do I return an item to The Book People? Get in touch with Book People through their Contact Us section or call 0345 602 3030 to obtain a returns authorisation number (RMA). Simply complete the returns form on the back of your despatch note and return the item to them. A refund will be processed upon receipt of the parcel in their Returns Department. Email tbpsales@thebookpeople.co.uk if your items are damaged with a photograph of the damage, your address details, any account/order details you may have and your preferred resolution (replacement or refund). Use their online Enquiry Form or Live Chat service for incorrect item received. Their Customer Services team will organise a replacement order for you if necessary. You can also call their Customer Services team between Monday to Saturday on 0345 602 3030 for advice. Refund will take up to 21 days. Replacement will take up to 10 days. Damaged or faulty books will be replaced/refunded immediately when you contact them with the required photographic evidence.